The sun was setting on another sultry hot summer day in Chikkadpally. The main street came alive with the squeals and shouts of the evening rush hour traffic. The Bismillah Irani chai house was beginning to buzz with its evening clientele. Imran the middle aged proprietor, his face framed by a smartly trimmed beard and his round taut belly barely hidden under his slim cut kurta sat behind the counter. He was lost watching the cricket match on the old tv set that sat on the wall opposite him. “Oye chotu, char chai aur aght osmania biscuit lana..” one of the college kids shouted from the table that was stuffed with six of them. One small looking kid scurried into the kitchen. Imran did not look away from the tv screen. It was a normal evening in the cafe and things were just getting heated. The noise from the kitchen increased and there was a fresh blast of the Irani masala from the kitchen. Chotu returned with the college student’s order and the smell of freshly baked Osmania biscuits filled the small cafe. Looking tired, his office bag weighing down on his shoulder’s Mr.Reddy entered the cafe, as he had done innumerable times for as long as he remembered. The cafe was an integral part of his daily schedule, just like his home and his office. He felt nostalgic as he looked around the cafe. He had been coming here since he was a college kid, it was probably here that he had had his first Irani chai. All the evenings of his college days were spent here with his buddies drinking chai after chai and talking about ‘pottiyan’. Even now, when he was married he came to the cafe first before going home. “what happened Reddy saab, you look pissed?” he said. Mr.Reddy smiled tightly and said nothing. Imran had noticed Mr. Reddy’s mood and he too sat down at the table squeezing his belly under it. “Arey, kya hua Reddy saab, kya ki pareshan lag rahe hoon?”. Mr. Reddy felt even more miserable with the attention he was receiving. He slid his office bag from his shoulder. Mr. Reddy looked on the verge of tears. Joseph was wondering what to say when the chai arrived. Mr.Reddy chomped on an Osmania biscuit as if it were the enemy. I am a pucca hyderabadi. I don’t want to leave Hyderabad. All my friends are here, all my relatives. My life is here, Imran bhai. i don’t want to shift to Andhra, woh gaya tel lene! This is all Sonia’s doing I am telling you, uski ankh! I will miss Hyderabad Imran Bhai, all of it, especially your cafe and your Irani chai!” and he took a sip of the tea. “Maa ki kirkiri” was all Imran bhai could say. There was a loud roar from the tv, another batsman had been bowled out. 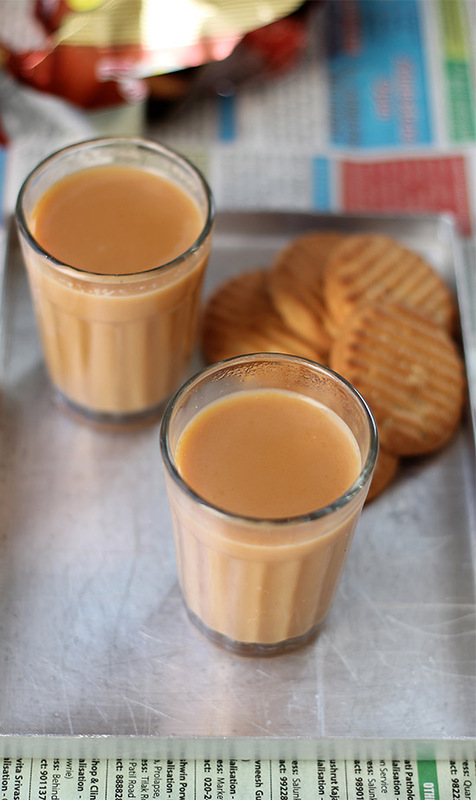 “chotu ek Irani chai lana…” someone shouted.